While the basic fundamentals of the golf swing are universal, each individual swing is unique. That is why Mizuno offers a range of golf clubs for players of all abilities. From game improvement clubs for players seeking forgiveness and an easy launch to game enhancement clubs for players looking to fine tune their games, Mizuno offers the best equipment for all types of golfers. For nearly a century, Mizuno has delivered outstanding innovations and high performance technologies for serious golfers of all abilities. With groundbreaking innovations like Grain Flow Forging Technology and revolutionary design technologies such as CORTECH, Mizuno has earned the trust of golfers of all skill levels, including the world’s finest professionals. Matching the ideal equipment with each player is the goal of Mizuno, and their industry leading Custom Fitting Program is the ultimate in personalization. With over 2,000 specially trained Mizuno Custom Fitters around the country, finding the perfect set of Mizuno clubs has never been easier. 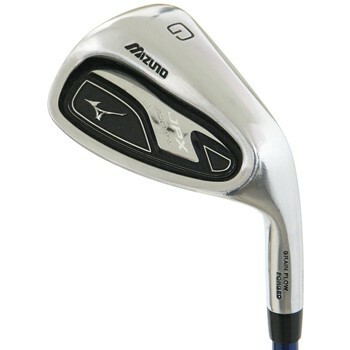 Dedicated to innovation and groundbreaking technological advances, Mizuno introduced Cut Muscle Design Technology in their irons in 2005, and it took the golf world by storm, winning numerous industry awards including Golf Magazine’s Testers Top Pick in both 2005 and 2006 with the MP-32 and the MP-60 irons, and Editors Choice for the MP-32 in Golf Digest’s 2005 Hot List. PGA.com and the PGA Value Guide are trademarks of The PGA of America.